In Windows XP and Server 2003, run command for disk defragmenter is dfrg.msc. 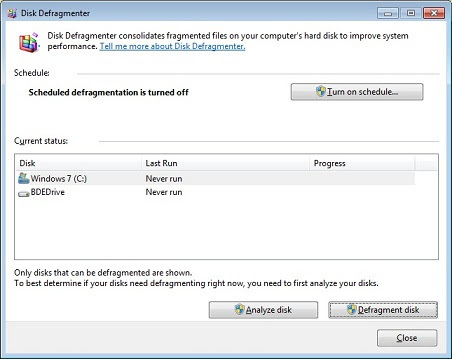 In Windows 7 and Server 2008 disk defragmenter can be launched by running the command dfrgui. These commands can also be used from command prompt.